« Tra Tutti’s in Full Bloom! I love Tory Burch – LOVE her. I think I’ve said this before on this blog, yes? 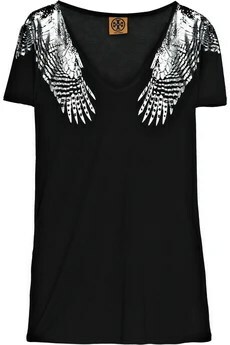 But I can’t see that shirt as angel wings. (Not even when it’s in silver or purple). I see creepy, scary, yucky SKELETON HANDS!! This entry was posted on April 8, 2010 at 7:57 pm and is filed under Questionable Trends, Tra Tutti. You can follow any responses to this entry through the RSS 2.0 feed. You can leave a response, or trackback from your own site.